When your plants are finished with their current growth stage, you can Complete the GroLog or Convert it to the next stage. 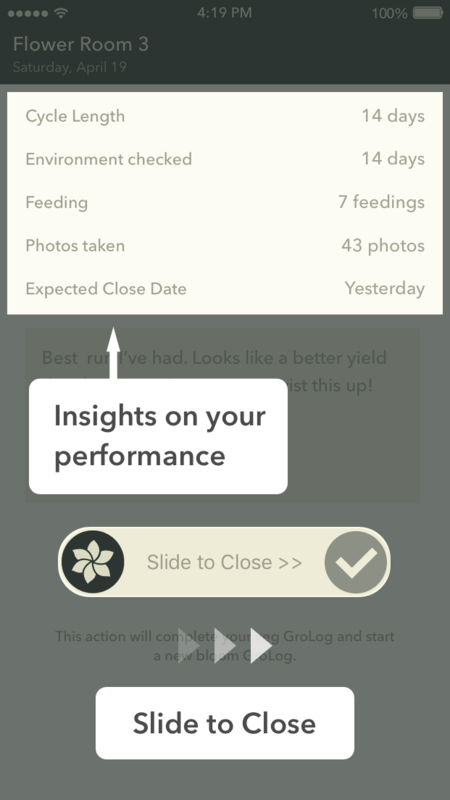 Completing a GroLog also give you a few useful insights to measure your results. If you messed up when starting a GroLog, you can also delete the GroLog permanently. On the day you transplant clones, flip your light cycle, or harvest is when you complete or convert your GroLog. Swipe up on the HUD to task mode. If you are completing a Mother or Bloom stage GroLog, the log will complete and you will be taken back to the GroLog list. 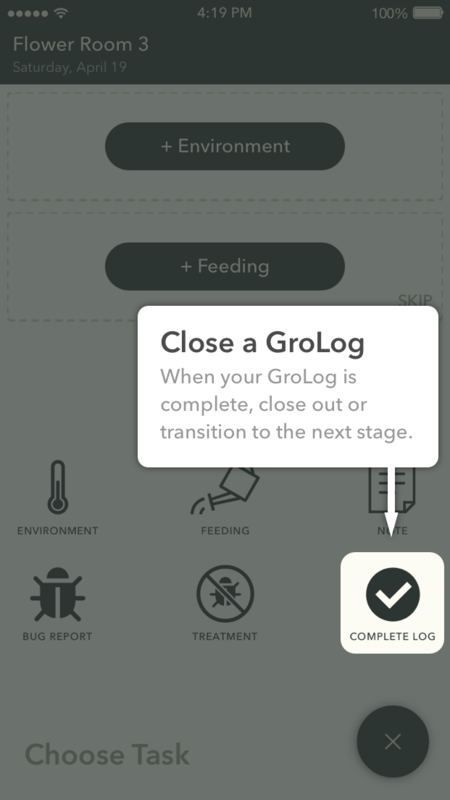 If you are completing a Clone or Veg stage GroLog, the log will complete and you can start a new GroLog for the next stage. Note: Behind the scenes Botana connects these GroLogs for tracking plants through their entire lifecycle. We are working on features to make this useful. Please send us your ideas!